DANA POINT, California (KTRK) -- Incredible video out of California shows a great white shark feasting away on a dead humpback whale. It happened off the coast of Orange County yesterday. Last week, a dead 55-foot whale nicknamed "Scarlett" washed ashore at Newport Beach. Lifeguards floated it back out to the open ocean, making it an easy lunch for the shark. 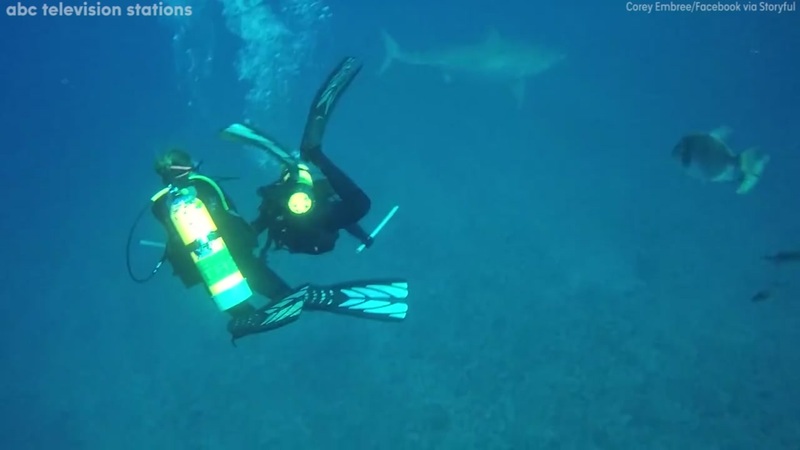 Florida divers had a close encounter with a great white shark on New Year's Day.